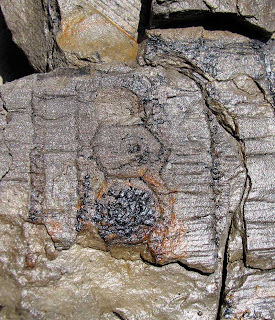 Plant fossils recently found in Hazard (Perry County) Kentucky in the Breathitt Group. 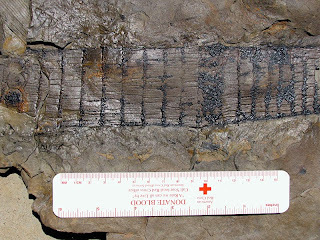 These fossils appear to be Calamites from the Pennsylvanian (Carboniferous) Period. 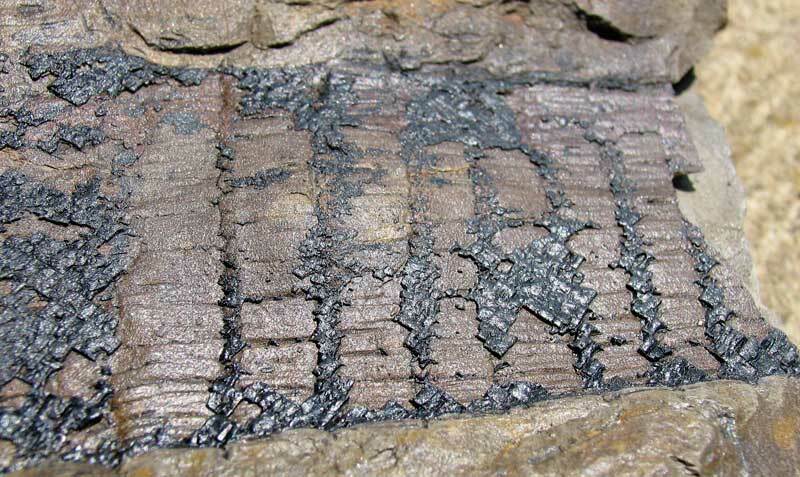 These imprints have been sealed to prevent the carbon layer from flaking off. 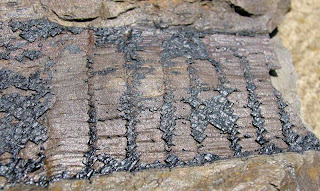 The fossil imprint is over 20 cm in length. 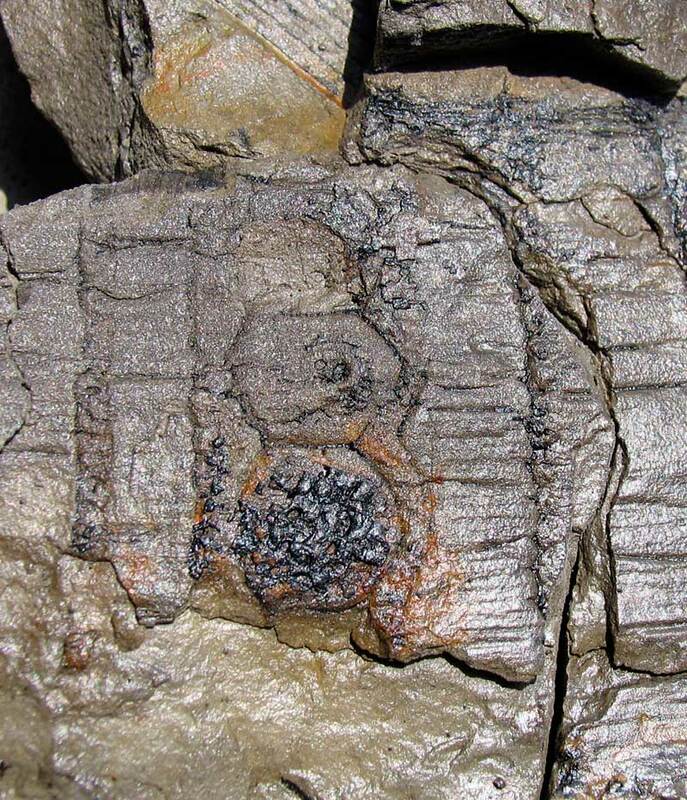 Close-up of nodes in the trunk. Learn more about these types of fossils at the Kentucky Paleontological Society web site. Thanks to my cousin for letting me photograph this specimen.